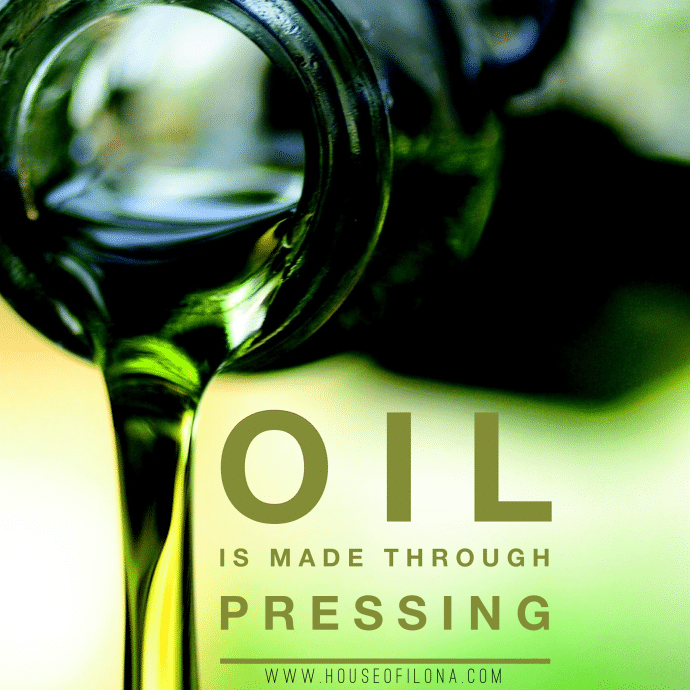 Oil is made through pressing. When you are pressed through life and situations, what comes out of you? When you’re fine one day or one minute, then the next you hit rock bottom because of some news, what comes out of you? When the olive is pressed beyond recognition, oil is produced. When you can say these things oil/anointing is produced in your life. You are stronger, wiser and closer to God. When you live a life that trusts and depends on God, the words you speak are so much richer. This entry was posted in Blog and tagged @houseofilona, You are so Anointed.